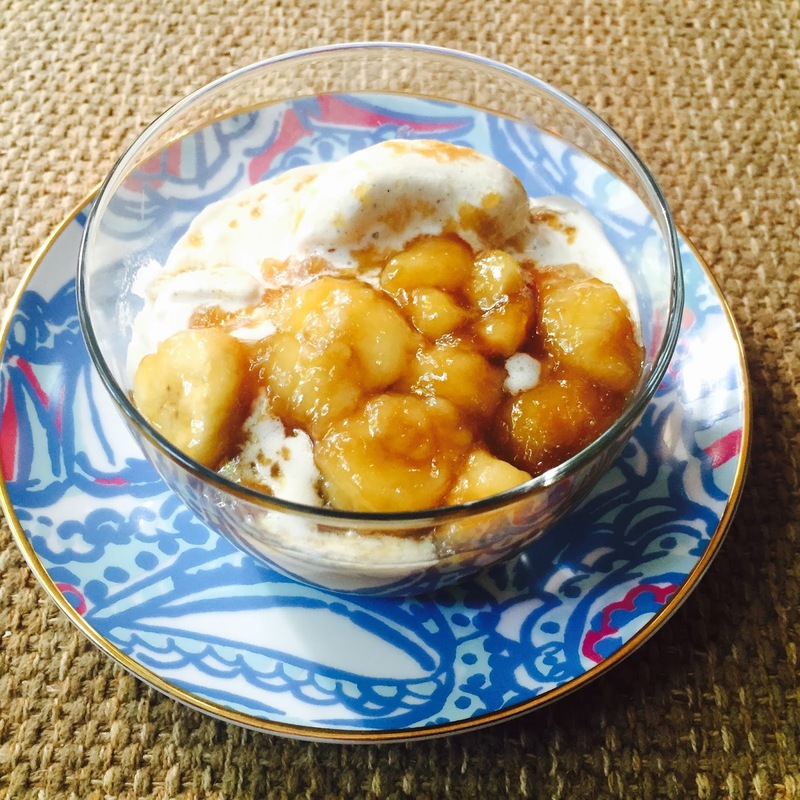 Caramelized Bananas over vanilla ice cream. It's a yes, folks. Try this super simple recipe and you'll be twelve sorts of ecstatic that you did. It's basically a Bananas Foster without the rum and flambeing (important because a lighter + flammable liquid would I think result in disaster if I were in control). This is my favorite dessert to make for one (a must if husby is away on business and Parker is down for the night, and I need something decadent and delicious for myself). It's also easily doubled, tripled, etc. 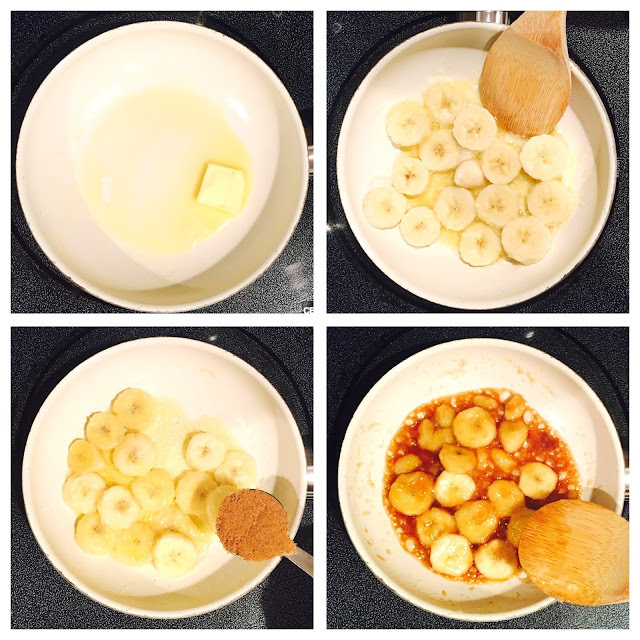 Here's what you'll need: butter, bananas, brown sugar, and salt. Don't forget the salt; it makes all the difference. Just melt the butter in a skillet (I'm obsessed with these ceramic ones - absolutely no sticking y'all and a breeze to clean up!). Add the sliced banana and stir to coat, then sprinkle on the brown sugar and salt. Stir for 4 minutes until the bananas are nice and tender. I like to spoon over ice cream, but they'd also be heavenly on waffles or pancakes! Melt the butter in a skillet over medium-high heat. Add the sliced banana and stir to coat, then sprinkle on the brown sugar and salt. Stir for 4 minutes until the bananas are nice and tender and coated with the sauce. Spoon over ice cream and enjoy immediately! Oh my goshhhh, this looks amazing! I so wish I had bananas at my house because I would totally make this right now! Let me know how it goes if you make it! !